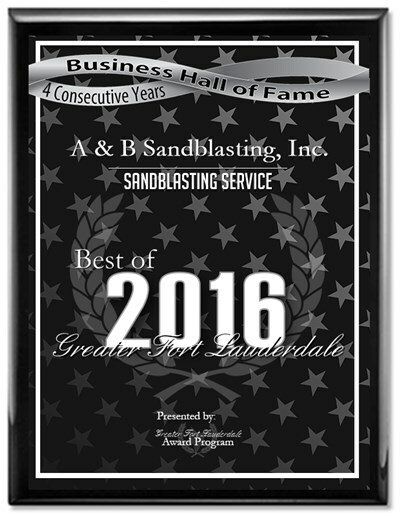 FORT LAUDERDALE September 1, 2013 -- A & B Sandblasting, Inc. has been selected for the 2013 Best of Fort Lauderdale Award in the Sandblasting Service category by the Fort Lauderdale Award Program. Various sources of information were gathered and analyzed to choose the winners in each category. 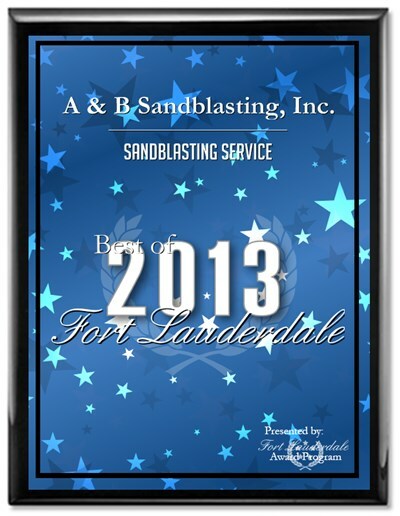 The 2013 Fort Lauderdale Award Program focuses on quality, not quantity. Winners are determined based on the information gathered both internally by the Fort Lauderdale Award Program and data provided by third parties.